Cultivating Playfulness for a happier Life! Online Journey. 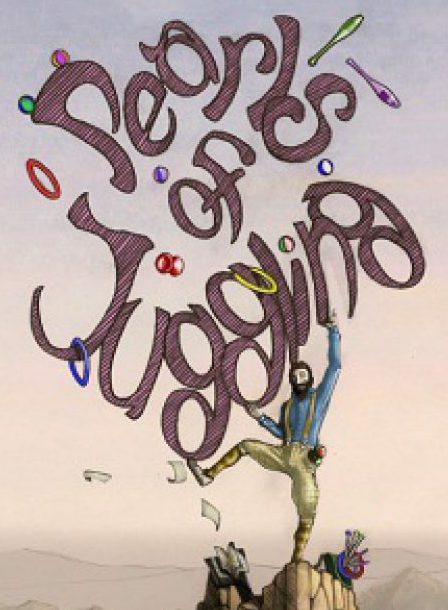 – Pearls of Juggling – The book, Workshops and more. Cultivating Playfulness for a happier Life! Online Journey. Playfulness has had a central part in my life in the last 20 years, as a clown and physical theatre actor, as a juggling teacher and in my work with yoga for children and adults. Playfulness is more of an attitude towards life than any specifiic activity and the good news is we can cultivate it! Some of us might never have really played as children, and as adults we are nearly all play deprived. As the Native American man Manitonquat at 88 years old told us: It’s never too late to have a happy childhood. Cultivating playfulness is one of the best things we can do to improve the quality of our lives and the world around us. Playfulness is infectious. At what point during the course of our adult life did we begin to need a reason to feel good? When, along the way, did we swap the fearlessness and playful exuberance for rigid confines of expression? At what point did we become so disconnected from the fluidity of life that once invigorated our imaginations? The answers to those questions, of course, are not simple. There are both systematic and psychological factors that contribute to the erosion of playfulness into adulthood, but our inner potential and desire to play is always with us. Each of us are born with an innate desire to deepen the connections to our surroundings through playful interaction. When we tune into the essence of play, we develop an openness anything that may happen. Our days begin to change for the better, and we develop healthy boundaries to choose whether we want to play, or not. Contrary to popular belief we work better when it’s actually enjoyable and it’s not so determined by the job at hand. We learn better when things are fun and aren’t confined by seriousness. Bringing out our playful nature helps us connect to others, and that intersection of gifts is what makes playing feel so great. It’s a remedy to our sense of isolation. Through playfulness, the people around us thrive in the positive attention they receive by simply connecting in a dynamic way. So much of the day-to-day is boxed up in arbitrary and linear constructs, but if we look close enough, playfulness is, in fact, all around us. It is a way of expressing of the web of interconnectedness that binds us together. Everybody loves the sporting oddball, who would rather lose than surrender their dramatic and artistic style, or the bus driver who never fails to crack a joke or two while out on the rounds. When we encounter playfulness in adults, we are reminded that buried within the psyche is a yearning to escape from the mundane, and a longing for belonging. Whether it’s making light of a situation through laughter, rather than getting cross, or opting to smile at a passer-by instead of wearing a frown, playfulness is an attitude to life. Without it, can there really be lasting happiness? How can we become more playful? This four-week course has been created to help you reclaim your playfulness and deepen your connectedness to your surroundings. It will offer an exploration into your own playfulness and expedite simple practices to improve the quality of our days. We are already on the path of transformation when we realise that we really don’t feel playful at all! Through a mixture of recordings, group discussions and experimentation of ideas, this self-guided course will explore the dynamism of playfulness as an antidote to stress, depression and other ‘negative’ emotions. Including conversations with some great exponents of Playfulness in the world, Mathias Poulsen from Counterplay, Gopala Amir Yaffe from Rainbow Yoga, Benny Faibish from Playwork, Stephan Merchant from move2create and Kirsten Anderson from Play Solutions. There will also be a FB group where we can share our experiences and help each other delve more into what exactly it means to be playful. In keeping the spirit of play, this course will be offered as a gift. This will give you the opportunity to donate a tuition with an amount you feel reflects the value of the course and your individual circumstances. Since I don’t know how valuable he course will be to you, I would like to invite playfulness in the form of giving and receiving. I do ask you however to consider how much an online course can cost and to decide to fully take on the commitment of this course. You can go at your own pace. for a happier life and world in which we live. Sign up for Cultivating Playfulness!